Fast broadband is vital for many businesses. But what if you can’t get a fibre connection? Just what are the broadband options for areas with poor coverage? This doesn’t just affect businesses in rural areas. You might think of Nottingham as a modern, connected city but there are some real broadband black spots in the City Centre. So, if you can’t get a fibre connection from the likes of BT, Virgin or Sky what are your options. Before we look at the broadband options for areas with poor coverage lets explain why you might not be able to get Fibre. The most common type of fibre broadband is actually only part-fibre. The fibre optic cables run up to the nearest street cabinet, then copper lines complete the connection between the cabinet and the business or home. If your business is not situated near a fibre enabled cabinet, then you simply won’t be able to get fibre broadband. However, the availability of fibre Broadband is not determined exclusively by whether your nearest exchange is fibre broadband enabled. Before the introduction of fibre broadband exchanges were configured to provide only ADSL. It was beneficial to live near an exchange as you were guaranteed to get the fastest broadband in the area. The close proximity to the exchange provided the shortest distance and thus the fastest speed. Today it is more often the case that being in close proximity to an exchange is a barrier to getting fibre broadband because of what BT’s Openreach refer to as ‘Exchange Only’ lines. 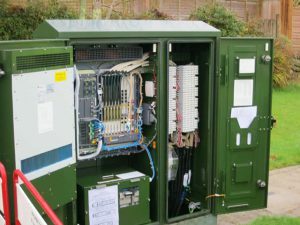 Ordinarily fibre broadband is sent through fibre optic cable to a street cabinet that then connects to your home via copper cabling. This technology is termed Fibre To The Cabinet (FTTC). Premises in close proximity to an exchange (generally under 500m) which have ‘Exchange Only’ lines are not connected to a fibre broadband cabinet but are directly connected to the exchange via old copper cables and thus cannot get true ‘fibre’ broadband. Once you’ve realised you can’t get fibre you need to look at the alternatives. You need to think about exactly what you need from your internet connection. Is speed the main factor? If so, can you cope with a usage limit? Or do you need unlimited usage for large files and can compromise speed? What is the budget and how critical is the connection? Fibre offers the best combination of speed, unlimited use, reliability and cost so be prepared for compromise. Technically standard broadband is available wherever you can get a BT phone line – this covers around 98% of UK households. However, in some of those areas the lines are so slow that it isn’t possible to get a useable standard broadband connection. Even if you can get standard broadband then this may well not offer the speeds that are required for a business. The distance you are from the exchange, and the technology in the exchange, both effect speed. This is more of an issue in rural areas rather than Cities, where BT has upgraded the majority of the network to ADSL2. If you can get standard broadband it is normally the cheapest option but is probably only suitable for low volume users who can cope with limited speeds. If you are in an area with good 4G coverage indoors then mobile offers one of the fastest and most reliable broadband options for areas with poor coverage. Speeds of between 18-24Mbps are available and there are plenty of providers. It has advantages in that you don’t need a phone line, therefore removing that associated cost. The price of mobile broadband is also coming down as competition increases. However, it does remain expensive when compared to fibre. Coverage can be an issue and many providers put in place usage limits. However, unlimited deals are becoming more common place and 5G, anticipated for 2020 and potentially capable of speeds in excess of 100Mbps, may well be a game changer. But that does depend on the pricing. One option can be to have both standard broadband and 4G. Standard broadband could be used for the majority of day to day activity, such as email etc. When increased speed is required, or there is an issue with the broadband, 4G can kick in. As long as the business premises have a clear view of the sky then satellite broadband is available. You don’t need a phone line and download speeds of up to 30Mbps are available. 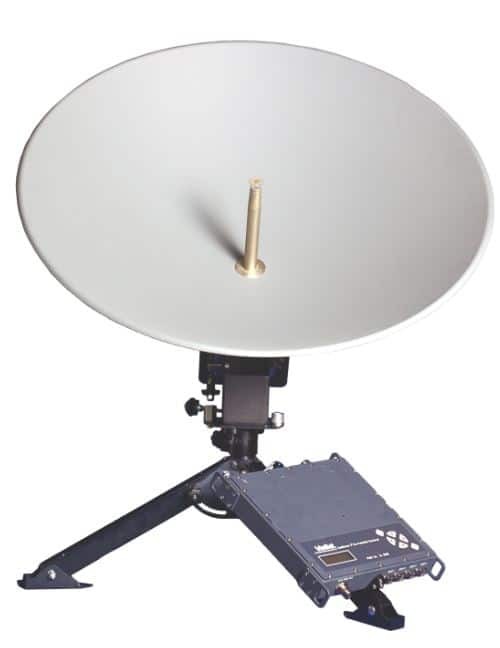 As the name suggests it uses a satellite dish to provide two-way access to broadband services. It can be provided virtually anywhere in the world which makes it a good option for those in obscure locations. Usage allowances can be limiting and there are costs associated with the initial installation of the equipment, although DIY kits are available, cost effective and (supposedly!) reasonably easy to fit. One problem often associated with satellite broadband is high-latency. As the broadband signal must travel a long distance you get ‘lag’. This limits the use of real-time applications, whilst video conferencing and VoIP will work but will be subject to delays. Satellite broadband can also be affected by adverse weather conditions. If you cannot get 4G and standard broadband is too slow or unavailable, then Satellite Broadband could be a broadband option for areas with poor coverage. Bonded broadband combines multiple ADSL lines to create a single faster one. You can combine up to 4 standard broadband lines, giving roughly 4 times the speed. While the concept of ADSL bonding is deceptively simple (i.e. combining multiple ADSL connections together), the practical implementation of bonded ADSL is relatively involved and requires significant processing in the splitting and recombination of data streams. As well as increased speed, bonded broadband offers additional resilience with instant failover built in. If one line fails, then the connection continues on the other/s. You can also combine different ISP’s avoiding losing your connection due to an ISP issue. Bonded broadband requires you to be able to get a broadband connection in the first place and your initial speed has an effect. If you can only get 2Mbps then even combing 4 ADSL lines is only going to get you around 7Mbps with an average 10% drop off. It’s also an expensive option. Your going to be looking at significant setup costs and multiples of monthly bills. It’s worth looking at but 4G is going to be a better option for most. Leased lines are generally utilised by very large companies with large numbers of staff such as hospitals, universities etc. 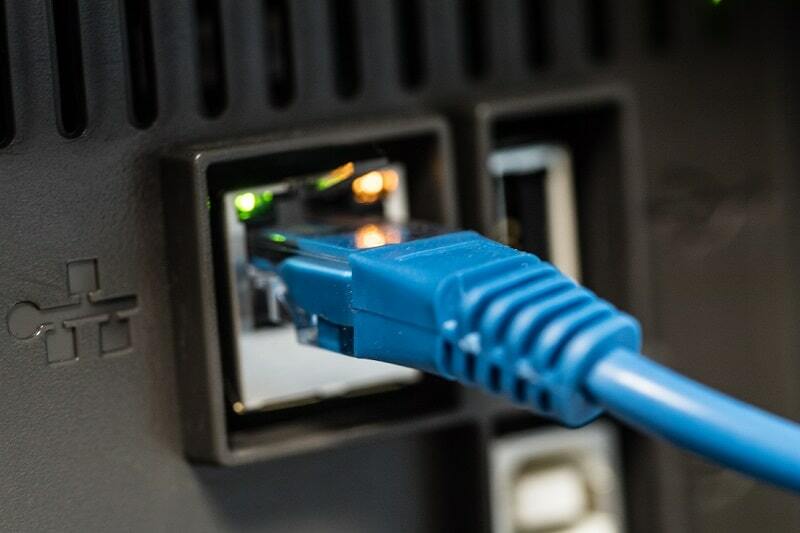 A leased line gives the organisation a dedicated connection to the internet. This is not shared, unlike the vast majority of fibre connections, and can give much faster speeds. This only works if you are near a cabinet. The line will be run directly from the cabinet to your premises. This is a great solution, providing reliable and extremely fast connectivity. It also offers a symmetrical service with upload and download speeds both the same. But it comes at a cost. The average price for a 100Mbps is £230.33 to £277.87. 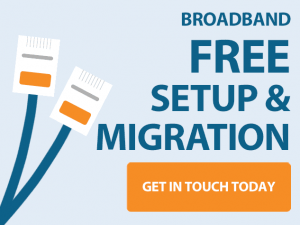 Even if you cannot get fibre broadband then there are a number of options available and you should be able to get the broadband connection that you need for your business. If you’re in a fibre enabled area, or you’re not sure, give us a call. We’d be happy to let you know what our broadband options are and whether we can save you any money on your existing deal.